Having at one point limited itself to just memory, Corsair’s expansion into new areas shows no sign of slowing with the release of the HS1, its first gaming headset. 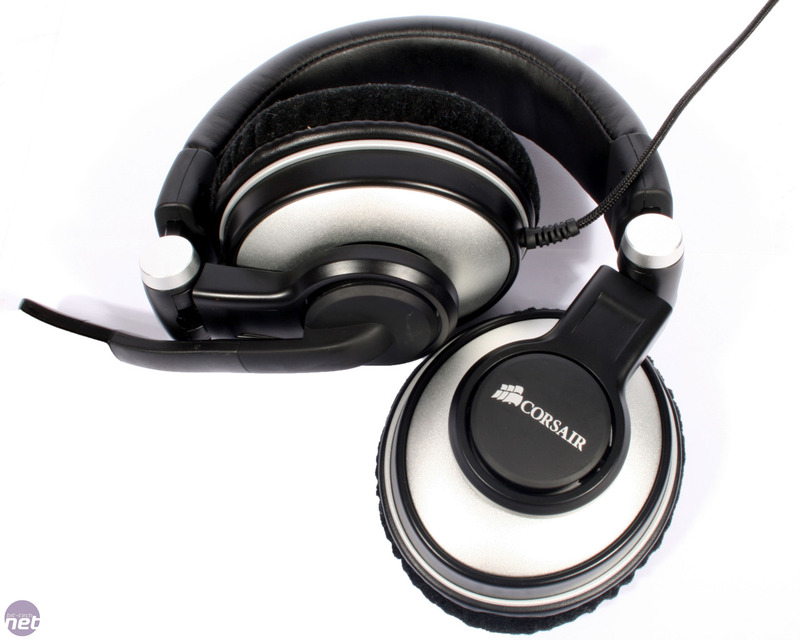 Like many of the top gaming headsets, such as Sennheiser’s PC350, the HS1 is a full-cover, circumaural, closed back headset. 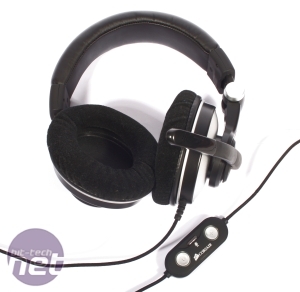 It's designed to fully encase your ears in soft ear cups and block out all those annoying outside noises. The circular ear cups are very large and with an interior diameter of 55mm there’s room inside for even the most Plug-like ears. The cups are surrounded by a ring of plush-covered memory foam which we found to be extremely comfortable even over very long periods of use. 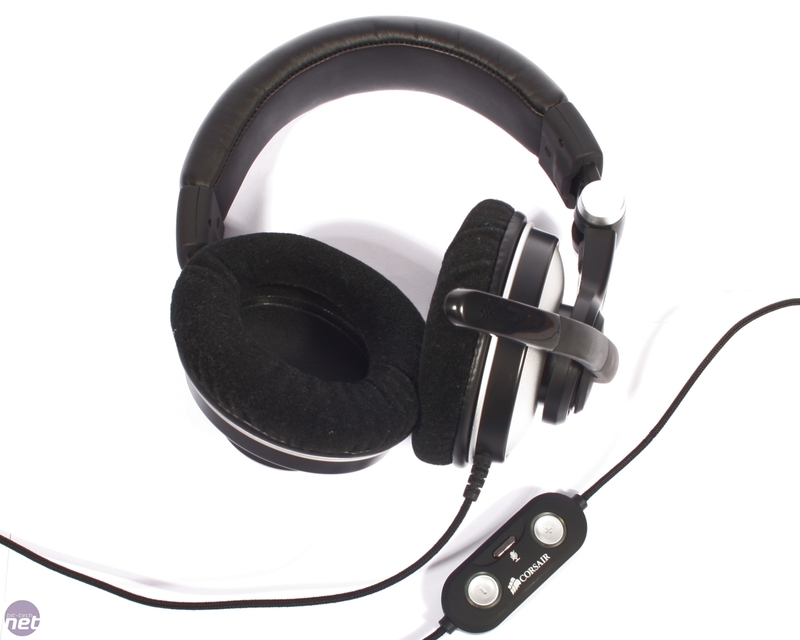 While there is some pressure exerted on the sides of your head when using the HS1, most of the headset’s weight is supported by the sturdy padded headband. Inside each ear cup is a single 50mm driver, with a braided cable running from the base of the left ear cup to an in-line remote. This has controls to mute the microphone and adjust the Windows master volume up and down. The in-line remote’s buttons are nicely back-lit in blue or red (to indicate whether the mic is muted or not), allowing for easy use even in dark, dank, gaming dungeons (aka teenage bedrooms). 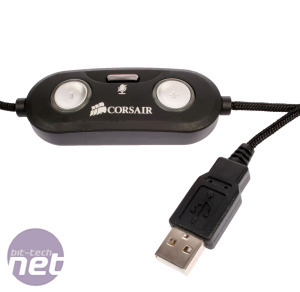 These back-lit buttons do have the annoying habit of unendingly flashing if you fail to install the Corsair driver for the headset, so be sure to make use of that installer disc rather than just plugging and playing. 'Drivers?' we hear you say. Yes indeed. In what some will see as an odd choice, the HS1 connects to your PC via a USB 2 connection rather than a pair of 3.5mm jacks. While this means that you can’t connect the HS1 to a sound card, it allows anyone, regardless of current setup, to experience the HS1 as Corsair intended. While those who’ve splashed out on a Creative X-fi or Asus Xonar might be put off, upon connection the HS1 will automatically set itself as the default audio device so the two can co-exist in the same system, albeit not producing sound at the same time. 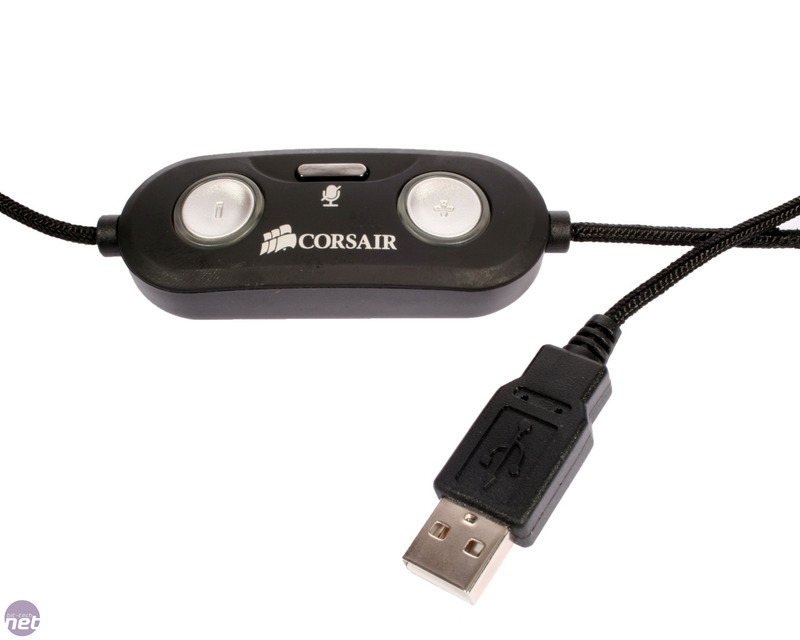 While this means the HS1 will also miss out on any multi-channel emulation from your sound card, thanks to its USB connection, Corsair’s software includes Dolby headphone. This is comparable to Creative’s CMSS3D where the effect of a multi-channel setup is emulated over the two channels of headphones by manipulating volume levels. The effect, while not as palpable as a true 5.1 setup, works well enough. Race Driver: GRID in particular worked very well, with the positional audio kicking in as cars approached from behind and overtook us as we skidded off the track. The HS1’s sound is generally excellent, with high- end and mid-range tones particularly detailed and clear; female vocals in particular sound deliciously smooth and natural. While the HS1’s default bass tones are well-rounded down to even very low frequencies, the bass just isn’t as loud as we’d like - compared to competing headsets such as the Sennheiser PC 161, we noticed the difference. We could fix the problem by boosting the bass levels in Corsair's graphical equaliser, but this is a workaround to having the earthy sounds of gunfire drowned out by mid- and high-tones such as voices. In games the HS1 produced a very detailed sound, with smaller noises lifted to a clearly audible level, although explosions and bass-heavy noises were again a bit too quiet. The detail apparent in the audio was striking though - we even picked up on sounds and parts of songs that we’d previously been oblivious too. 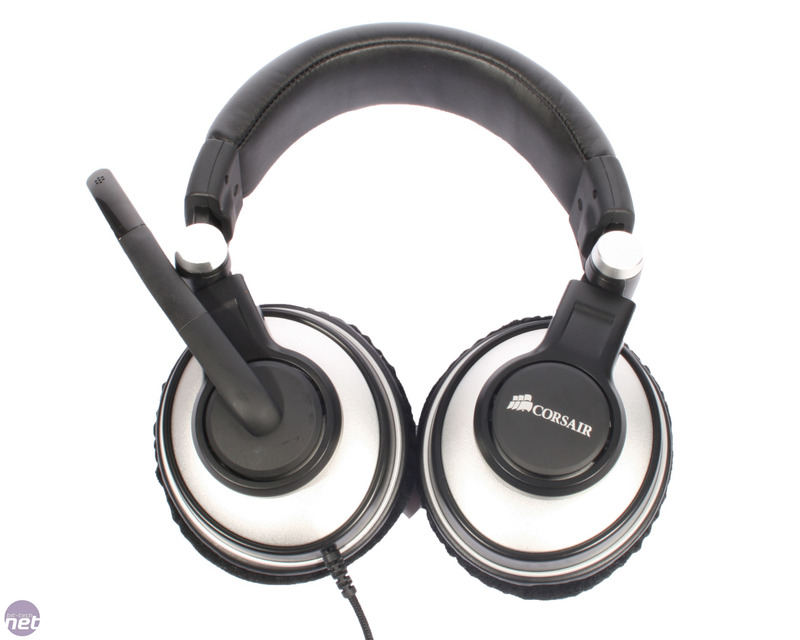 The Corsair HS1 is a headset capable of high-quality audio that’s also supremely comfortable to wear over long periods - a rare feat indeed. More than a few times during our testing we looked around our desks for the HS1 only to realise we were still wearing it – it really is that comfy! At £75, it's well priced too. 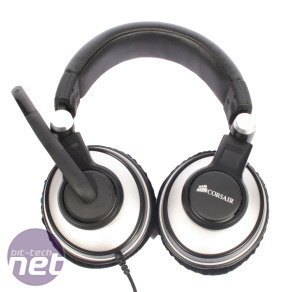 Sennheiser’s PC 350 top-end, closed-back headset is £105 and Creative’s excellent Sound Blaster Arena sells for around £65. The HS1 is therefore an impressive first showing from Corsair when it comes to peripherals, and if a USB headset fits your needs then the HS1 is well worth considering. Corsair details its forthcoming range of headsets, keyboards and mice. 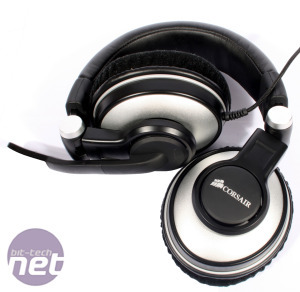 Sharkoon has designed a gaming headset that works with the PC and XBox 360, but is it any good?